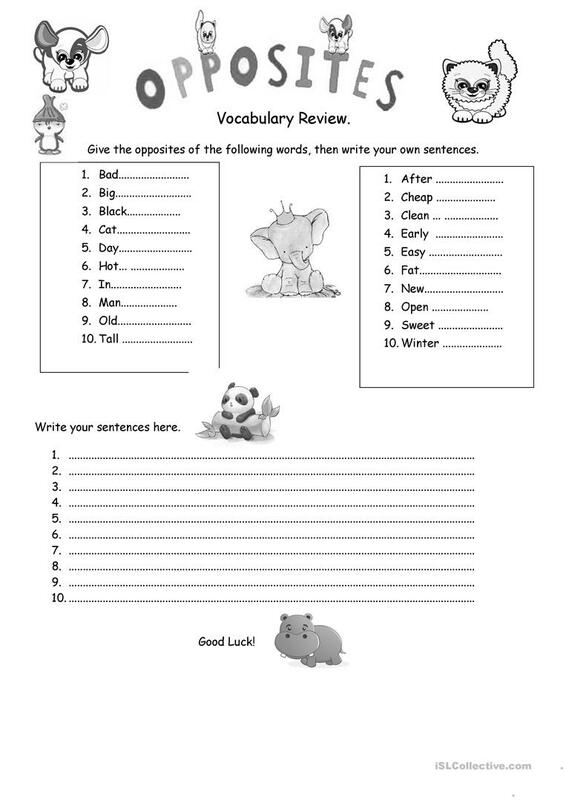 Sts have to give the opposite of the words given They have to write sentences showing they understand their meaning,B&W ws is supplied. 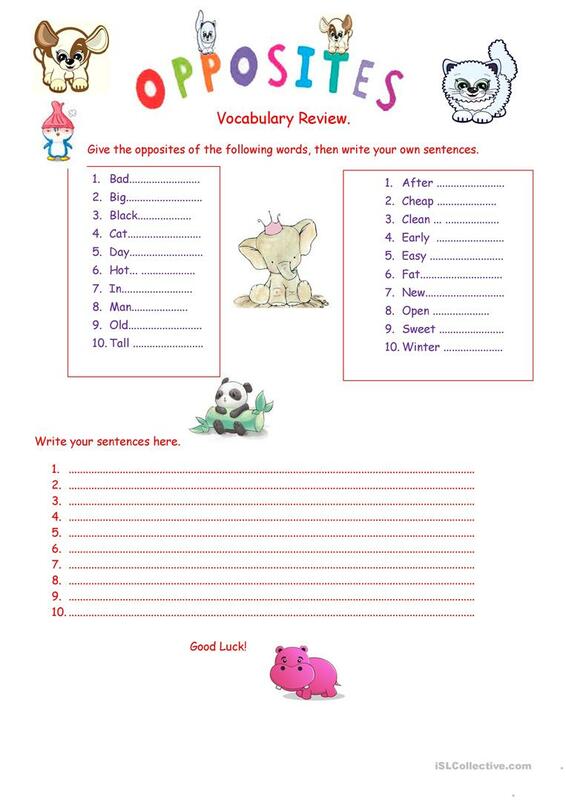 The present downloadable worksheet is meant for elementary school students and students with special educational needs, learning difficulties, e.g. dyslexia at Beginner (pre-A1) and Elementary (A1) level. It is valuable for teaching Opposites (antonyms) in English, and was designed for honing your students' Spelling, Reading and Writing skills.